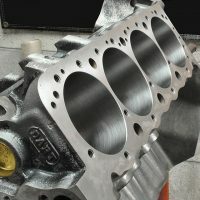 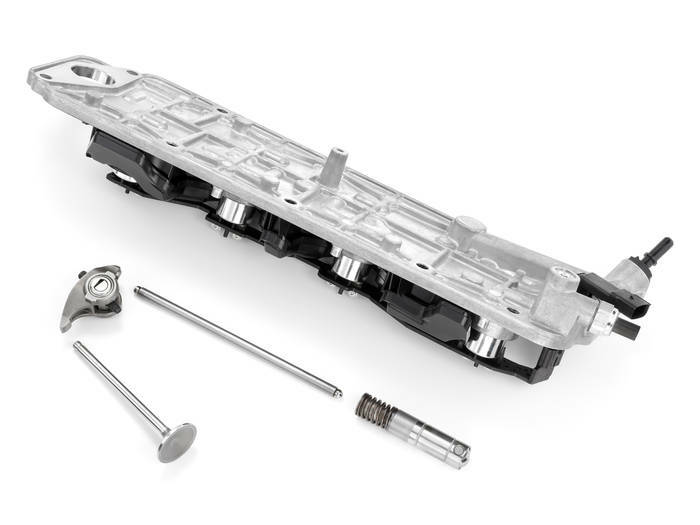 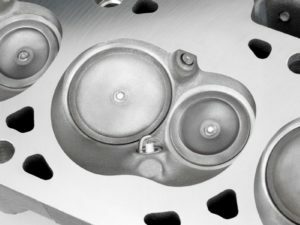 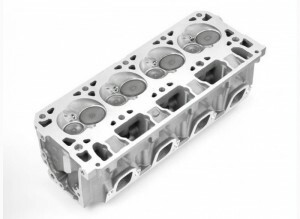 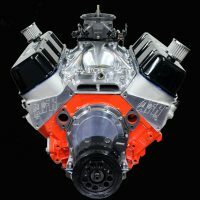 Chevrolet has just released pre-production details of the next generation (Gen V) all aluminum small block that will power the 2014 Corvette. 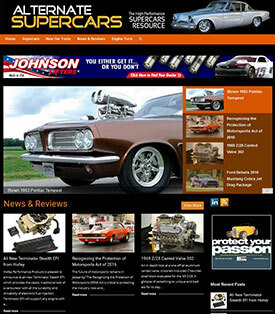 The new engine revives the LT1 RPO moniker with a 6.2L version offering 450 horsepower and 450 lb-ft torque. 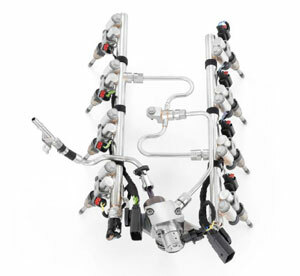 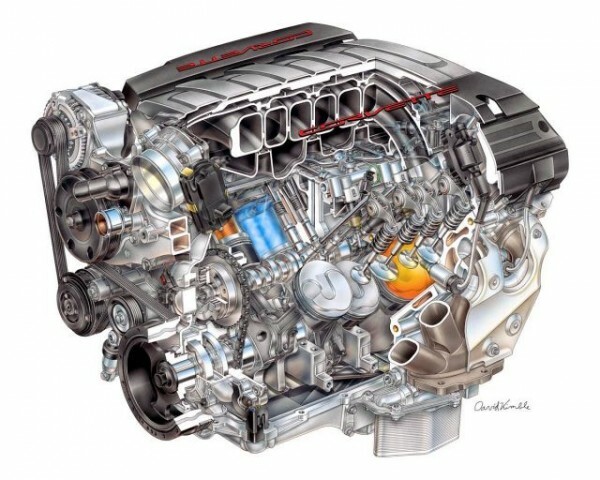 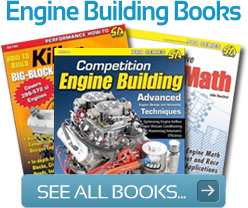 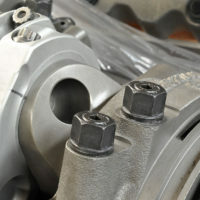 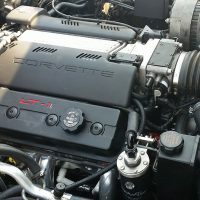 Chevrolet refers to it as a "Cam in Block" engine to highlight the superior performance of its 2-valve per cylinder engine versus competing 4-valve engines. 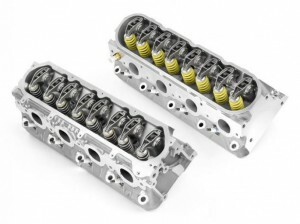 The new LT1 is an evolutionary development with a traditional single cam, pushrods, and 11.5:1 compression ratio. 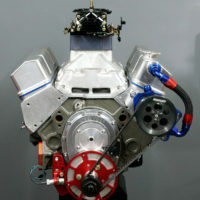 Study the accompanying press photos and you'll confirm what industry insiders have been telling us. This is a Variable Valve Timing, Direct Injection engine with cylinder de-activation that has been in development for several years. 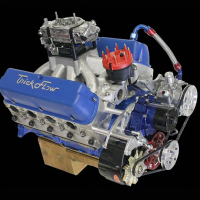 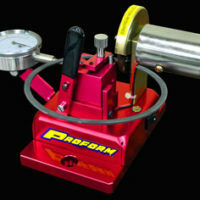 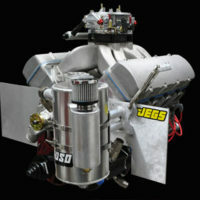 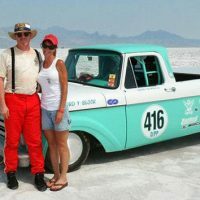 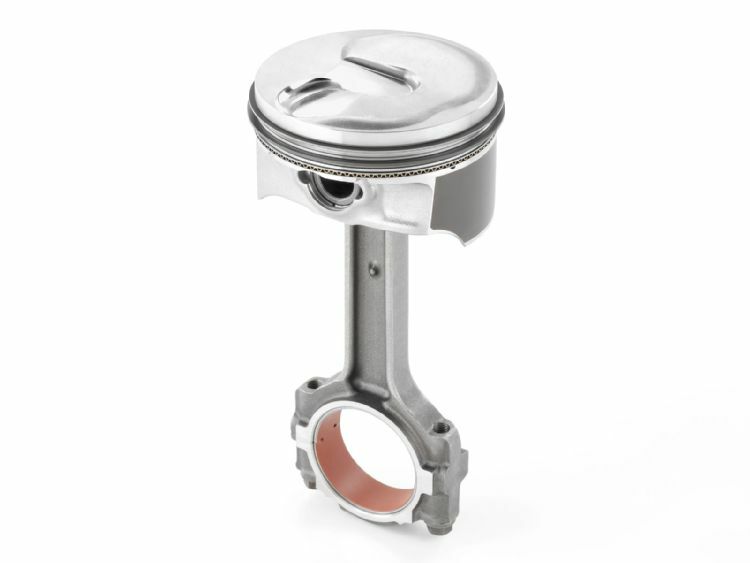 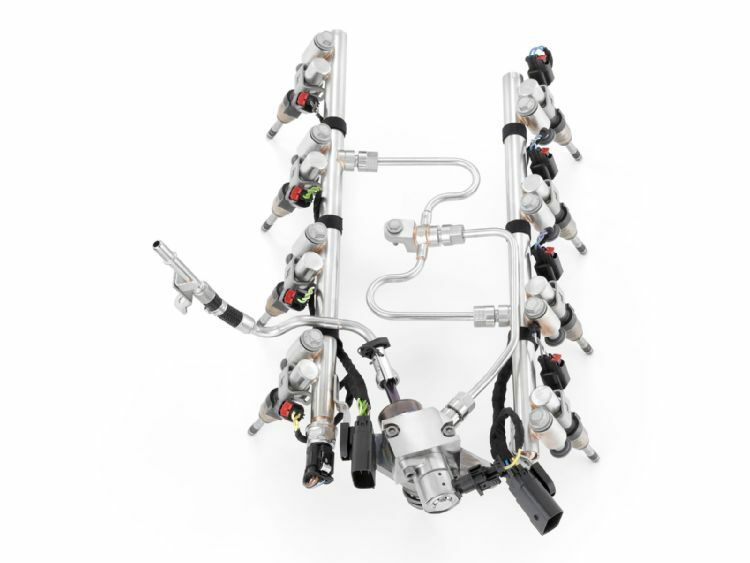 It incorporates flat top pistons, shallow fast burn chambers, large 2.13/1.59-inch valves, contoured piston crowns, pin oilers, cam driven fuel pump, revised firing order, 1-8-7-2-6-5-4-3 (4-7 swap style) and is rev limited at 6600 rpm. 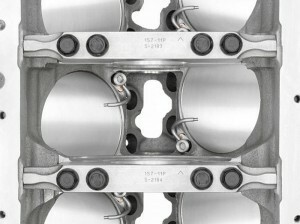 In the cylinder head view you can just see the Direct Injection port (square notch) on each chamber. 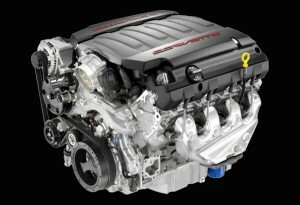 The photo of the valley cover shows the Active Fuel Management components for the DI system. 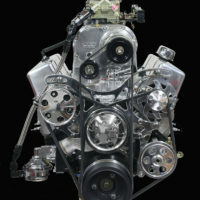 Note the all new cylinder head retains LS-style spread port configuration, but with intake and exhaust valve positions swapped.